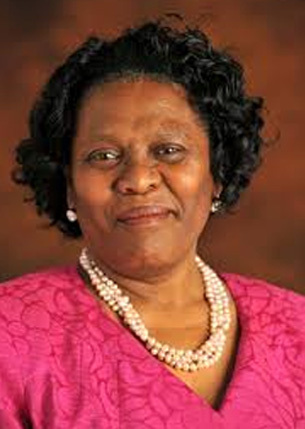 Environmental Affairs Deputy Minister Barbara Thomson on Thursday launched environmental protection and infrastructure programmes in Ga-Segonyana Local Municipality in the Northern Cape. Speaking at the launch, which forms part of the National Imbizo Focus Week, said the department has designed an Environmental Protection and Infrastructure Programme (EPIP) to fund and implement projects that seek to translate policies into action. “This programme is focused on greening and open space management; Working on Waste; Working for Land; Working for the Coast; People and Parks; Wildlife Economy and Youth Environmental Services projects,” said the Deputy Minister. The department is entrusted with ensuring that everyone has a right to an environment that is not harmful to their health and to have the environment protected for the benefit of present and future generations through legislation and other measures. Deputy Minister Thomson said policies alone without practical actions and the necessary resources cannot achieve an environment that is not harmful to people’s health. “It is for this reason that the department had designed the EPIP to fund and implement projects that seek to translate policies into action,” said the Deputy Minister. The department is aware that the challenges faced by communities are not only limited to environmental problems but extend to issues like unemployment, skills shortages and small business underdevelopment, among others. “Through the same programme, EPIP, we are trying to kill at least more than one bird with one stone. As such, labour intensive methods are being used to implement projects funded through this programme in order to maximise work opportunities for the local people. This programme is implemented throughout the country in different districts and local municipalities. The department had received applications for funding from Ga-Segonyana in the period between April and June 2013. Two projects in the area had been approved for funding, with the first project being the Ga-Segonyana Waste Management Project. This project has been allocated a budget of R25 million to plan and develop the landfill site with supporting infrastructure and equipment. The actual implementation of this project started in January this year and is scheduled to be completed in December 2016. The second project is Ga-Segonyana Greening Project, which is allocated a budget of R12 million for the construction of two community recreation parks in GaMopedi and Bathlaros locations respectively. The actual implementation of this project commenced in April 2015 and is anticipated to be completed in December this year. The projects will be implemented using labour intensive methods and as a result, will create 426 work opportunities for the local people. Accredited training opportunities for the local people will also be created. Opportunities will also arise for local small businesses to provide goods and service during implementation of these projects. “These two initiatives will ensure that non-recyclable and recyclable waste generated from businesses and households, which often litters our surroundings, will be transported to a landfill site and buyback centre respectively, and that open spaces that are used for illegal dumping of waste and criminal activities will be converted to recreation parks. “As a result, the community of Ga-Segonyana will be living in an environment that is not harmful to their health and well-being,” said Deputy Minister Thomson. Apart from these two projects, Ga-Segonyana municipality is also benefiting from the Youth Jobs in Waste Project, which is a province-wide initiative intended to build waste management capacity within municipal administration. Through this, 14 young people have been placed in the municipal administration to support the municipality in terms of waste management. These young people have been trained in first aid, occupational health, environmental education and awareness, computer practice and landfill site operations. Deputy Minister Thomson said the community should play its part in ensuring that while using the facilities, vandalism is avoided.